His Serene Highness and Gentle Glory, Prince Freï of Lorenzburg, Protector of the Oppressed, Defender of Freedom, The Thundering Throne, Mystical Fount and Unshakeable Foundation of the Principality of Lorenzburg, to All Our Most Beloved Subjects Whatsoever, to Our Allies and Cherished Friends, to the Princes of all Earthly Realms and To All to Whom these Presents shall come, Greeting! 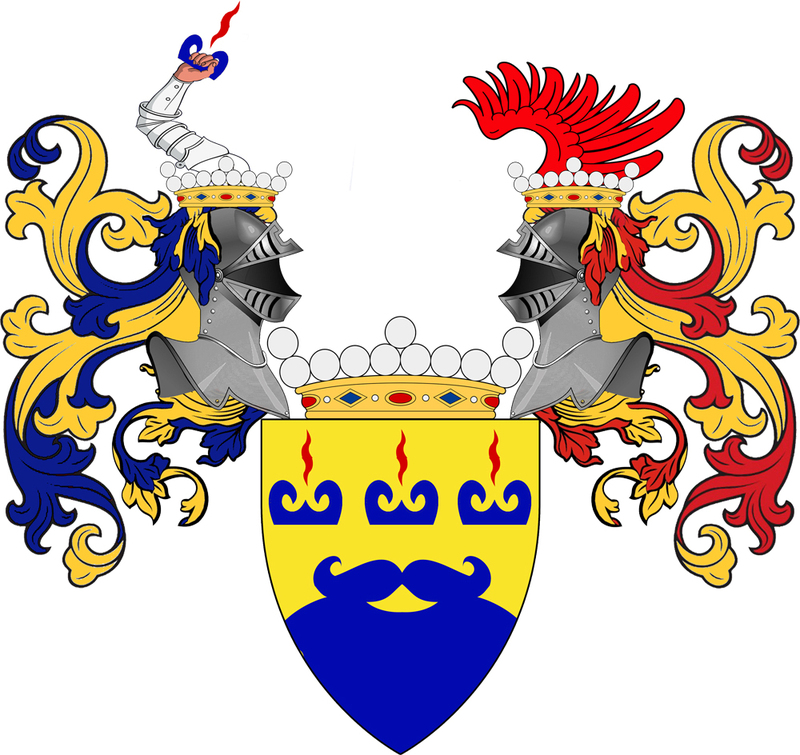 The coat of arms Blazon in the Scandinavian manner: On gold, lower half a blue beard with mustache, above which three sideways positioned upturned fire-steels each issuing forth upwards a red spark. The Baron is thus recognized as a member of the Princely extended family. Name and rank will be passed to issue of both genders in accordance with the Lorenzburg custom of cognatic inheritance of noble titles. THESE THINGS WE DO under Our Great Seal on this 6th day of November, in this our most auspicious year Two Thousand and Sixteen. May all Sentient Beings Benefit from the acts here brought to pass! Previous Previous post: The University of Lorenzburg welcomes your knowledge!